Can you believe that the holiday season is almost upon us? My all time favorite activity that appears every year in our advent calendar is ice skating at an outdoor rink. Having spent most of my life in Australia I'm used to hot, Summery Christmases with ice skating only possible indoors. I absolutely love that Christmas falls in Winter here. Even though we don't have white Christmases here in the Bay Area, there's just something magical about Christmas in Winter. Being able to take part in wintry Christmas activities like ice skating outdoors makes it feel even more magical. 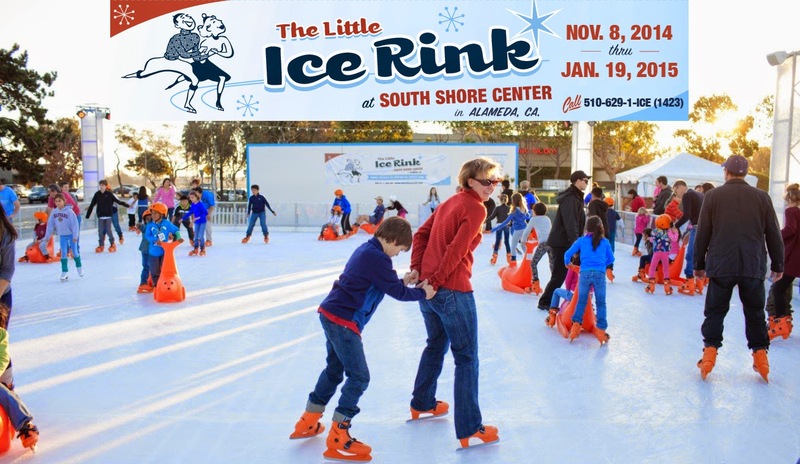 This year we'll be visiting The Little Ice Rink at Alameda's South Shore Center for our outdoor ice skating. I can't wait to take the girls and they're pretty excited about it too. 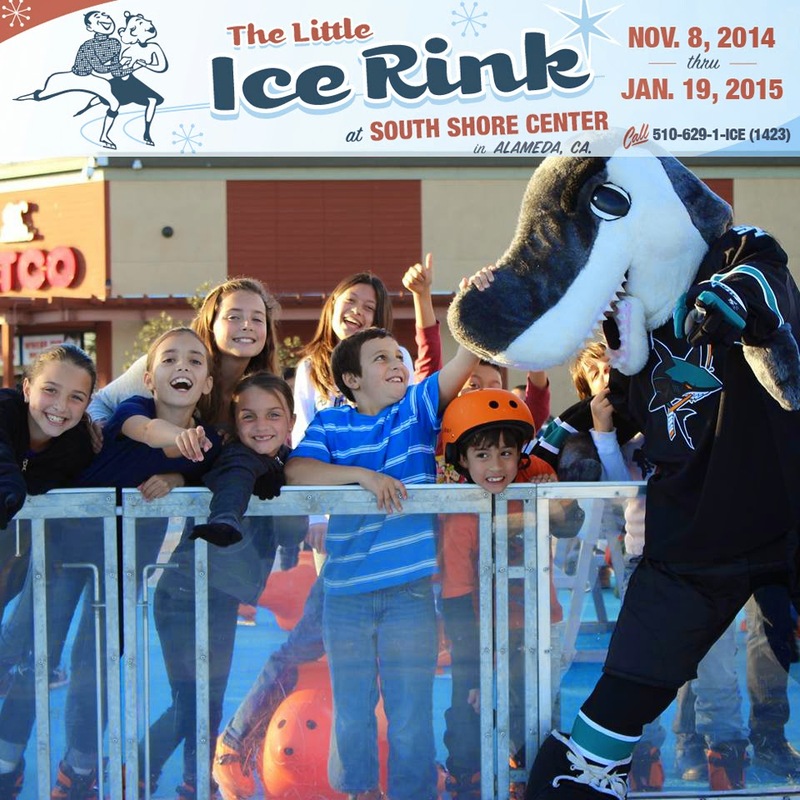 My favorite thing about skating at The Little Ice Rink is "Bobby" the Seal skating aide (you can see it pictured below). Ava took ice skating lessons for a year and a half so she's a pro on the ice, but Lola has only skated a few times and is not so confident. Usually when we go ice skating I spend half my time hunched over holding Lola's hands. With "Bobby" Lola will be able to skate around on her own with confidence - or take a rest and be pushed around! How cool is that? 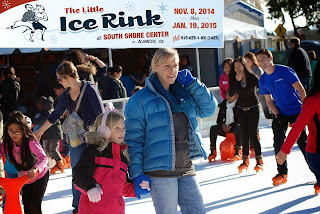 Excited about visiting The Little Ice Rink too? Well, you're in luck as I'm giving away a double pass for an ice skating session at The Little Ice Rink. 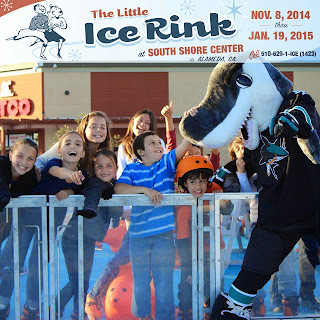 The prize includes tickets for two (adult value), skate rental and "Bobby" the Seal rental. To enter the giveaway please follow the prompts below. The giveaway ends 12am, November 28th 2015. The winner will be chosen at random and notified by email. 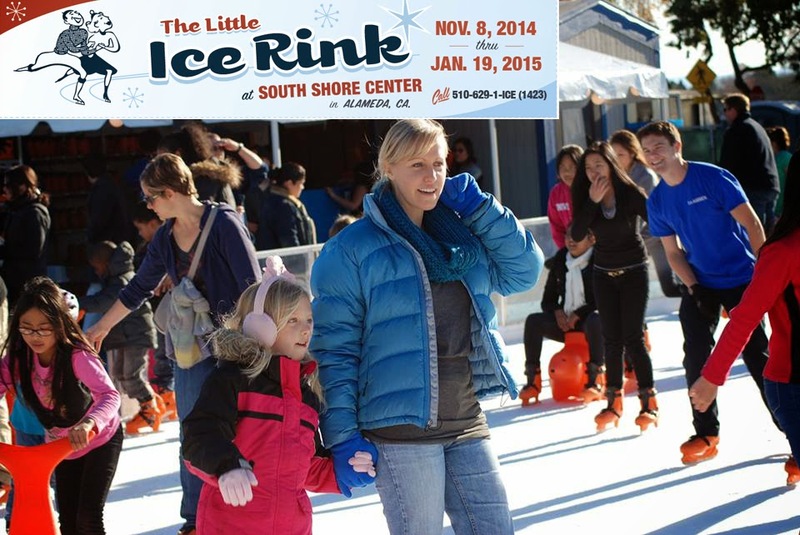 The Little Ice Rink is open now through January 19th 2015 at South Shore Center, Alameda. 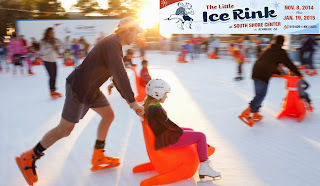 For session times and pricing please visit http://thelittleicerink.com. I ve never been to that ice rink, but it sounds very fun!